Devolutions Password Server lets you control access to privileged accounts and manage sessions through a secure solution that can be deployed on-premises. 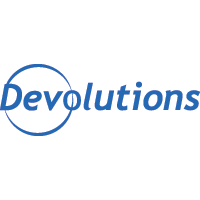 When used in combination with Remote Desktop Manager, Devolutions Password Server becomes the single pane of glass of any IT department, integrating passwords and credentials vaulting with a robust and efficient remote connections management solution. While using the same backend, the Devolutions Password Server web interface offers your business users a simplified password management solution. Wayk Now! & Say Goodbye to Teamviewer! Wayk Now comes in two editions: Free and Enterprise. The Free Edition can be used for personal use, while the Enterprise Edition delivers a complete feature set including concurrent sessions, remote execution and most importantly support! Connect to any remote computer within your local area network, or over the Internet. Overcomes common usability problems found in remote support and remote desktop scenarios. Enterprise features integrated directly facilitating troubleshooting and saving resolution time. Quickly gain access and control of a remote computer or allow someone else to take over your computer and assist. Restrict access to certain resources shared by the server when someone is connected. Execute multiple types of commands and scripts on a remote computer such as batch script, PowerShell and many more. Works on all major operating systems namely Windows, Mac, Linux, iOS and Android, all with the same rich features set. Easily installed using a small downloadable package usable without installation or elevated permissions. All communications are secured using a strong TLS 1.2 encryption with certificate validation. Send or receive files between computers. Transfer multiple files from both sides simultaneously. Easily navigate between multiple monitors connected to the remote computers. Copy and paste anything between local and remote applications using clipboard interoperability.